Joining the team '360' weekend away at the Pioneer Centre, Cleobury Mortimer 16/17/18th November 2012 came about because the Team Rector, Rev Stephen Bowen, had read The 360 Gospel of Jesus and made contact through this website. 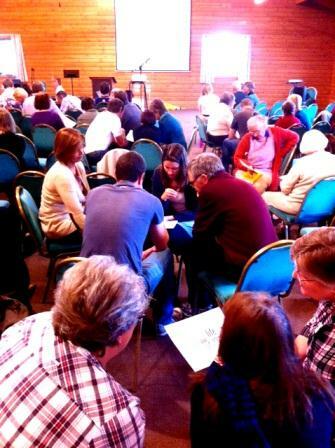 Over the weekend, one exercise was to ask 'What is the Gospel we share?' in our own words, and from our own experience. Folk kindly did the exercise by writing their understanding of the Gospel message on a postcard. 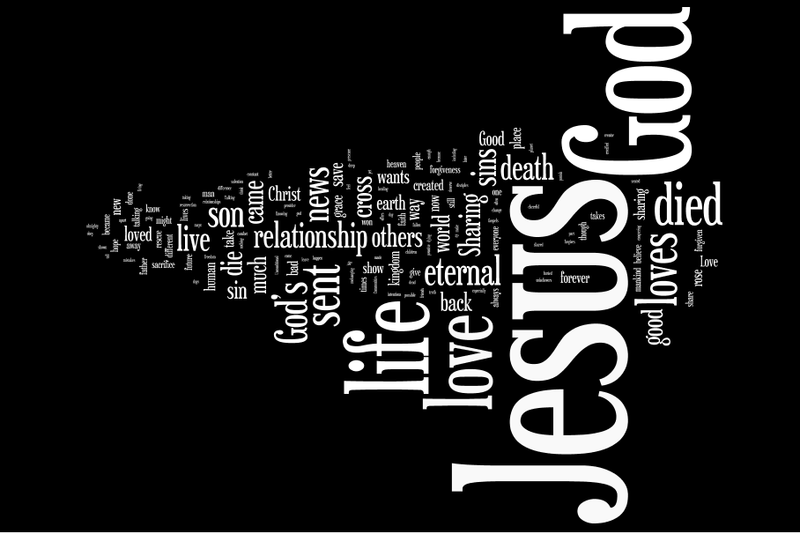 The text from each was collated and used to create this word cloud from www.wordle.net. Create your own version to get a bigger picture - use the text and 'create' in www.wordle.net. The size of each word represents the frequency of use. 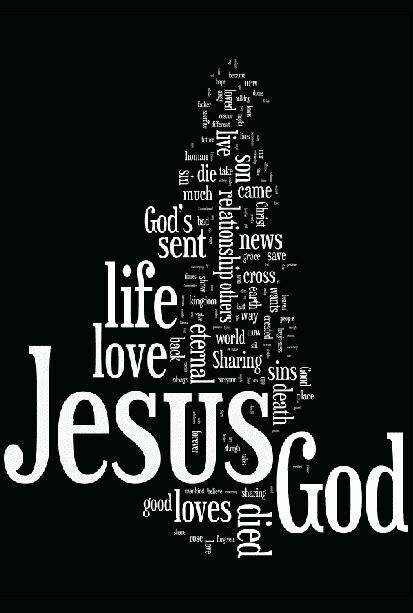 We noted that words like God / God's and love / loved / loves are all represented by seperate words - if they had been the same they would have been larger and more prominent. As a tool for analysis there are limitations, but it is still revealing that, apart from the obvious words most often used, all others are reletively small. We discussed the significance of this. Download session 1: What is the Gospel we share? Thank you to Stephen and everyone in the West Cheltenham Team for engaging so positively and for having me as their guest.